Over the last couple of months BJP legislator Pasha Patel has traversed across Maharashtra. Patel has been holding rallies for speedy implementation of Sachar panel recommendations, and in process grown in stature. His soaring popularity has worried Congress. Interestingly, Pasha's appeal cuts across party lines. 'Shiv Sena district president Manohar Chowdhury announces Pasha's arrival on the stage on a microphone as Musalmon ka masiha, aamdar Pasha Patel', reports Hindustan Times. Soumitro Ghosh writes that his campaign is changing the colour of socio-political atmosphere in rural Maharashtra. The BJP and Shiv Sena are both against implementation of Sachar committee's recommendations but leaders like Nitin Gadkari and others fully support Pasha. 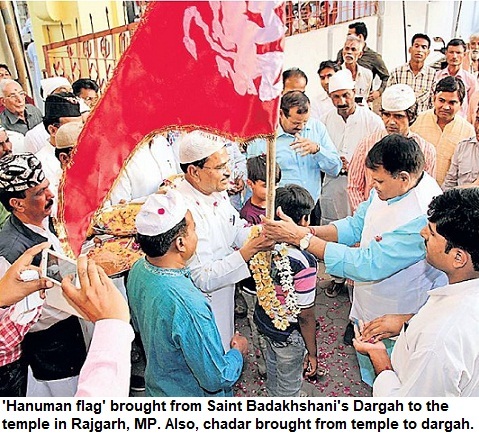 Patel's 30-page booklet 'Sach kahte hain Sachchar, to phir khamosh kyoon hai Musalman' is circulated across the state and Swatantra Bharat Party's Ravi Devang feels he iseven more popular among Hindus than the Muslims. 'I am tempted to am tempted to compare him with Rashtra Sant Tukdoji Maharaj, whose book on agriculture is treated as the Bhagwad Gita of the farmers. "Congress leaders call Pasha to public meetings and say that they haven't called Pasha Patel as a BJP MLA but as a leader of Muslims. Why is Pasha popular? He is a leader in the true sense and has fought his way up unlike many leaders who don't have mass base or are just popular among Muslims. Local leaders in districts from Congress to Lok Jana Shakti are as eager as BJP and Shiv Sena to invite him. Patel was a firebrand leader of Sharad Joshi's Shetkari Sanghatana and had led countless farmers' agitations, reports Dnyanesh Jathar in Malayala Manorama daily. He says that a Hindu has prepared the most genuine report for Muslims' welfare and not a Muslim organisation has started agitation. 'I want 11 lakh signatures from you', he says. Patel has already travelled 22 districts of the state. Unlike most of the Congress' Muslim leaders, Patel has a mass base and has fought for non-Muslims as well. This gives him the moral authority to speak forcefully for Muslims also amongst any gathering. Just because he has a political constituency he is not afraid of getting expelled or sidelined by party. Generally, the politicians with little mass base worry that if they are out of the party, they will have not have anywhere to go. Let's see how far he goes.